Try incorporating these habits into your day. Keep in mind, small habits will add up to BIG change! Download, print, hang, and share! 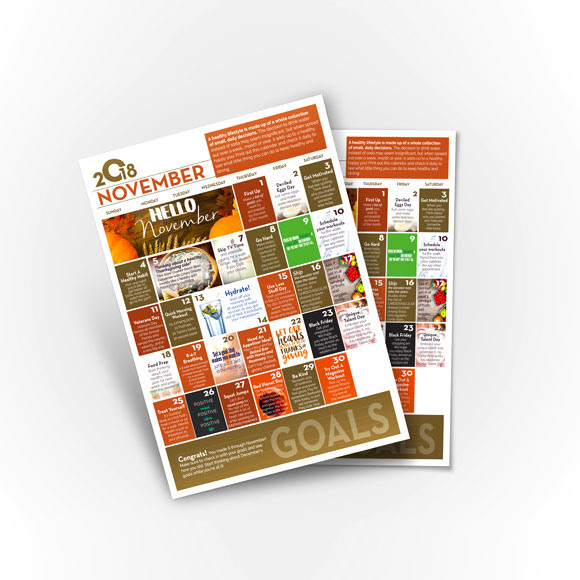 These wellness calendars make great handouts and wall displays.